Gustard Wood Common lies a mile north of the village. Until the 1960s it formed holes 12 and 16 of Mid Herts Golf Club, which still occupies 32.6 hectares on the west side of the road. The Parish Council acquired the land north of Ballslough Hill in 1987 and the remainder in 1994. It covers 18.5 acres (7.5 ha.) of secondary woodland with two small areas of acid grassland. 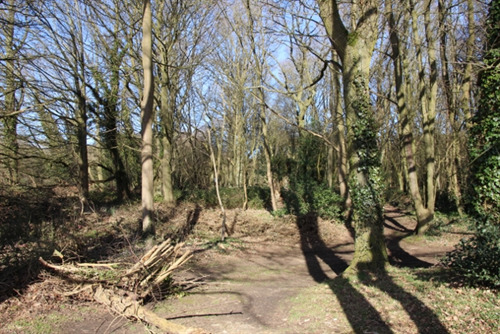 The remains of an ancient holloway and a hornbeam hedge can be found on the south east boundary. 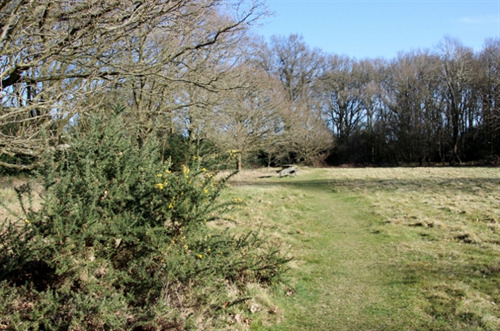 The whole of the Common is designated a County Wildlife Site. It takes its name from the Old English for gorse or juniper. Both grew on the Common and the fact that medieval commoners had the right of pannage (feeding animals in a wood) also indicates its early wooded nature. Where the land was cleared the underlying acid soils resulted in the development of heath vegetation, notably heather. At the end of the 19th century the land was owned by the Ecclesiastical Commissioners and grazed by sheep which kept open areas in grass. The owners agreed to the establishment of a golf course and nine holes were ready for play in 1893. An 18 hole course opened in 1923 with play crossing The Slype, the Kimpton Road and Ballslough Hill and the land was finally conveyed to Mid Herts Golf Club in 1936. Increased traffic on the roads made it too dangerous for play to continue and three holes were relocated to land acquired to the south of the main course. The woodland in the ownership of the Parish has therefore developed since that time, but efforts are being made to maintain the two areas of grassland and even enlarge one of them (the old 16th green). Wheathampstead Parish Council is a statutory body, set up to serve the residents of Wheathampstead, with twelve Councillors elected by local residents.